Here for the PSA conference in Yellowstone. What a beautiful fall. Gorgeous shot! Love the reflections in the water. Very nice composition, very nice rhythm, very nice colours. 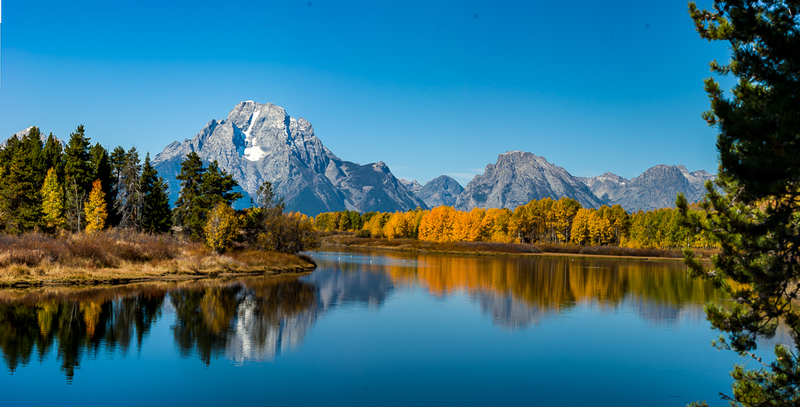 I had the privilege of seeing the Teton Range in the Fall a few years back and this photo captures the essence of this magnificent area, perfectly. Stunning autumn shot, fantastic colours and reflections!